A one-off original. 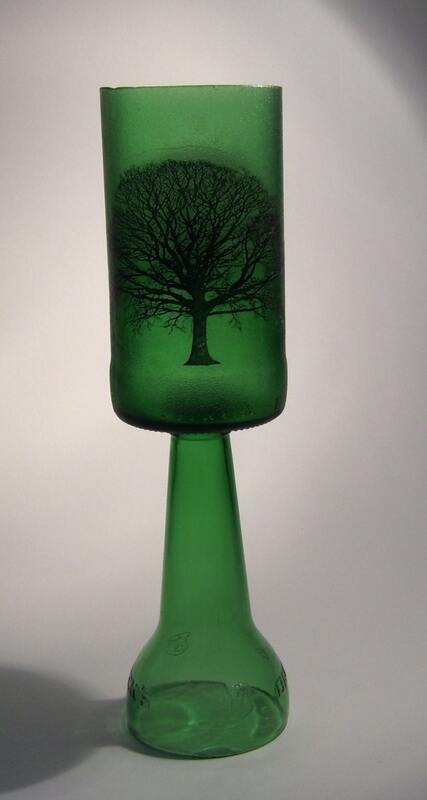 Very tall green glass goblet with a film transfer tree image both sides, mist-frosted glass finish. Height 28 cm.